It’s that time of year when you begin to think about “gasp” summer and what you’re going to do with the kids during the long, hot days of summer. When the kids were little, you splashed with them at the neighborhood pool. You schlepped them to half-day sports programs offered through the local community center or you took them to the library, to nature centers, or to touching museums where they could explore and wear themselves out for a few hours. You arranged “play dates.” You took them on outings. But your babies are no longer babies and the sage wisdom of prominent child psychologist, Michael Thompson, rings in your ears. When your kids reach a certain age and developmental stages, your kids can only develop certain life skills if you place them in empowering, independence-building settings like overnight summer camp. Up until now, they haven’t been ready. You haven’t been ready; and you’re still not sure if your kids are there yet. How can you tell? Can your child do sleepovers? According to Dr. Michael Thompson, this is a good indicator. If your child is willing to sleep over at friends, at grandma’s house, or with cousins, it means your child has a willingness to leave home. When this readiness happens is child-specific but the average age range, according to the American Camp Association, is between the ages of seven and nine. Does your child relish the idea of making his own decisions? We’re not talking about where to live and what bills to pay. These are simple choices. What will I wear today? Will I eat peanut butter and jelly or the camp eggs and oatmeal? Will I sit through the campfire ghost stories even though I’m afraid or will I hide in my sleeping bag? Being away at overnight camp means that a child must be comfortable making fundamental decisions. Decision-making is an initial sign of independence and overnight camp builds on that independence. Can your child take care of herself? The basics, I mean. Brushing teeth. Getting dressed. Bathing. Making beds. Putting about laundry. That sort of thing. If the answer is yes, your child can probably do fine in an overnight camp setting. If not, it may be too soon. Is your child enthusiastic camp discussions, about the unknown of being away from home, of meeting new people and trying new experiences? If your child actively talks about the unknowns of camp and is willing to give it a try or is willing to deal with the inevitable homesickness, that’s a good sign. It means that your child is becoming aware of his insecurities but has a wiliness to face them. Keep in mind, even if your child seems worried or anxious, encourage your child to talk, help her identify the source of the anxiety, and give her tools to deal with the anxiety. Homesickness and separation anxiety are normal when a child goes away to overnight camp. After a week, those feelings usually subside. If your child knows how to handle those feelings when she’s anxious, she will mature from the camp experience and come home more confident. If your child is forced to face his fears, he will return home from overnight camp more confident and independent. What camp is right for your child? The point to sending your child away to a sleepaway camp is so they can develop maturity, independence, can learn cooperation, interpersonal skills, and a whole host of other benefits. It’s not so that your child can be insulated and pampered. When you pick an overnight camp, keep that in mind. Your child won’t develop life-altering skills if their every whim is being indulged at camp. They need to get dirty. They need to be pushed out of their comfort zone. And they need to do it “off the grid,” away from you, away from social media, their smart phone, and school. Does the camp have a history? New camps might have newer facilities and “bells and whistles” but an older, established camp with staff that has worked for the organization for a long time says more about the camp. It means stability. It also means that the camp values its employees. An older camp should also have loyal families who have sent one or more children or generations of family members to the same camp. Ask for references. Also ask to talk with a staff member who has worked for the camp for a long time. What is the camp’s philosophy? Is it activity driven, centered around leadership development, focused on building communication and collaboration? Make sure the philosophy is one you’re comfortable with. Does the camp have a strong community? Does the camp foster teamwork, community, and inclusion? These skills are life skills and you want your child to learn that collaboration, teamwork, relationship building and communication. Does the camp staff have longevity and credibility? Look for a camp with low turnover rates for counselors and staff members. Staff members should have references, should be well-trained, and should have had a background check. Can your child make choices about activities? A child who learns how to make choices learns independence. Choose a camp that encourages decision making. Does the camp have a communication plan for the parents? If you child is a camper, it’s not in his best interest if you call the camp daily, if you demand to be in touch with your child. A child sent to overnight camp will not form meaninful relationships, will not learn independence, self confidence if you the parent are always involved in the mix. On the other hand, the camp should have an open channel of communication, a way for you to see what’s happening periodically. Many camps now post photos of campers on a daily basis. A picture of smiling camper does much to allay an anxious parent..
Is the camp accredited? Accreditation through the American Camp Association is more important than you realize. It means that a camp operates according to certain standards, is accountable, and transparent. Look for a camp with a high accreditation. The American Camp Association maintains a list of camps and their accreditation. Mysummercamps.com posts reviews by parents and former campers. After you’ve done the research, factor in other wants and needs. Does your child have special needs? Does your child have special needs? ADHD, Autism Spectrum Disorder, Tourette’s, cancer, for example? There are many camps specifically geared toward campers with disabilities, disorders, and illnesses. Many all-around camps can accommodate campers with special needs as well. If you find it overwhelming to sift through the thousands of overnight camps, go through a camp advisory service such as The Camp Experts or The Camp Connection. Many advisory services are free and can pinpoint overnight camps that best fit your child’s needs. Does your child have special talents that you want him to develop? Is she a dancer or singer? Does she want to be in theatre? Is he into gymnastics or sports? Is computer programming his passion? Sending your child to a specialty overnight camp can help your child foster friendships with others who share her passion, can teach your child a discipline or a mastery of a skill that she was unable to conquer during the school year. Is religious affiliation important? Would you prefer a Jewish camp, one affiliated with the Catholic Diocese or a Protestant house of worship? If religious observance is important, there are many camps that are affiliated with a religious institution. American Camp Association, BunkMates, and endorsing agencies for your house of worship as well as local community centers can provide directories. If you still aren’t sure, read Michael Thompson’s book, Homesick and Happy. It’s an insightful yet light-hearted narrative that addresses the importance of camp in a child’s overall development. Rebellion is a normal part of adolescence. As children morph into pre-teens and then teens, they seek greater independence, push boundaries, oppose rules, argue more, reject authority, and detach from the people who love them most. You, mom and dad. The parents. And everything you believe in, everything you’ve been teaching your darling daughter or son is now subject to argument or outright rejection. Even religion, the family rituals, customs, traditions that have been part of your family lore for generations are under attack. All those family memories engrained in your family’s history are also subject to invalidation. That can be difficult for any parent and you might be wondering why? Why is my darling child attacking the very core or essence of what we believe in? There’s a good reason and it’s based in cognition and development. According to David Elkind, PhD, author of All Grown Up and No Place to Go, your child’s brain is under “construction.” The area of the brain known as the prefrontal cortex is developing rapidly, neurons are multiplying wildly and firing it seems all at once or in an illogical order. The prefrontal cortex of the brain is responsible for thinking, judgment, self control, and regulation. In adolescence, kids are developing their own ideas. Suddenly, your children see everything more realistically. They’re acutely aware of unfairness, injustice, of rules that shouldn’t apply to them because they’re practically grown up. Kids are also seeing their parents as flawed beings too.To define herself as a separate entity, your daughter must question who she is and that means questioning who she is in relationship to you. The reason why she questions is part of brain anatomy and development. The result is that your teen is seeing you through a whole new lens. It’s a reality that awakens your child, scares them, can anger them. Don’t worry. They still love you and they certainly need you. But suddenly, you aren’t the ideal, the larger than life parents who brought your children comfort, who could solve every problem, who uttered the absolute truth. You, the parents, when compared to other people’s parents just aren’t that cool. When compared to the television parents, you’re kind of dowdy. And compared to what your child thinks? Well, you mom and dad simply fall flat. If you’re not who they thought you were, then everything you taught them must be subject to question. Your teen, while moving through adolescence must scrutinize what you’ve taught them. Your child is suddenly more aware of his surroundings and beginning to ask what’s real and what is truth? And that can include religion, your religion. Though your child knows no other customs, was raised in the values and ideals since birth, a.nd seemed perfectly content, embraced, and fulfilled by your faith, by function of your child’s development he or she must question. And that can be very difficult especially because things don’t right themselves for a long time. A very very long time until your child completes passes through development and develops their own sense of identity as an adult, separate and detached from you. It can be trying time for parents. It’s especially trying if what your child is rejecting is so much a part of your family traditions, rituals, and habits. If your adolescent child reject your religion, the practices he or she was raised with since birth, it’s not just difficult. It can create family discord and personal heartache. But rejection of your religion, opposition of practices, questioning doctrine and whatever else a teen does to disrupt the status quo are really all a part of developmental rebellion. As Dr. Carl Pickhardt explains it, around mid-adolescence (13 to 15 years), your teenager might “declare that religiously believing and participating is no longer for them. He may argue that religious practice is restrictive, that he doesn’t believe in a god, that practicing the religion without believing is hypocritical. Your child might refuse to attend holiday dinner or worship services. He may criticize other family members who choose to remain observant. He may become belligerent. And you, well, you will be the target of his rage, opposition, debate, and defiance. While you might feel under a personal attack, keep in mind. This stage of adolescence is a period when teens question authority—parental, professional, spiritual, etc; and it’s completely age appropriate. During adolescence, your teen might reject religion and other values you taught them. But even the rejection of religion is part of developmental rebellion common in adolescence. How you handle it depends in large part on your child age and developmental stage. According to Pickhardt, psychologist and author of Surviving Your Child’s Adolescence, there are four stages of adolescent rebellion. How you address the rebellion is based on your child’s age but also on their emotional maturity. Some kids hit stage later than others. Between the ages of 9 and 13, “rebellion… is primarily a process through which the young person rejects the old child identity that he or she now wants to shed to clear the way for more grown up redefinition ahead. Rebellion at this early adolescent age proclaims: “I refuse to be defined and treated as a child anymore!” Now he knows how he doesn’t want to be, but he has yet to discover and establish how he does want to be. Pickhardt recommends firm insistence. Set up the guidelines and work your budding teen down through attrition. At the same time, try to help them verbalize objections through dialog rather than action. Set up some firm family guidelines for your rebellious teen, guidelines that are non-negotiable that clearly defined expectations and consequences for not meeting those expectations. While your child is rebelling, some of the acts of aggression might be destructive—self destructive. You want to keep your budding adult safe. Setting up a behavior contract with clear expectations, goals, and consequences for failing to meet expectations should be included. There should also be a reward section of the contract. If your child complies, he can go to that swimming party. Keep in mind that your teen is really still a child in a developing body. 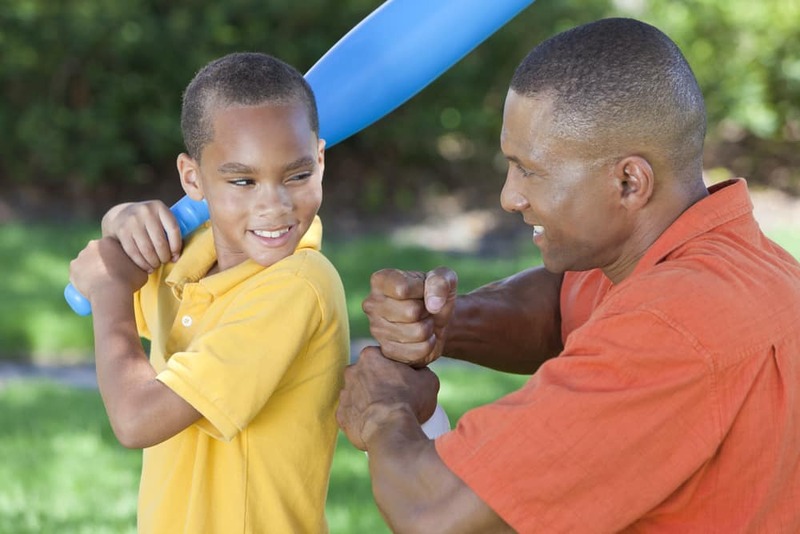 Some behaviors aren’t going to change through discussion, punishment, or head-to-head combat. You have to keep your child safe and relatively compliant until he developmentally works through some of the internal confusion he has with religion or whatever else he’s objecting to. If a young child was threatening to jump out of a moving car, would you discuss it? NO! You implement rules and consequences to keep them safe. Make yourself available to talk. Make it clear to your child that you want to listen to his objectives and you need your child to help you understand. Listen without commenting. Validate his complaints by mirroring his sentiments. “I can see how you might feel that way.” At the same time, give him constructive ways to verbalize his anger, frustration, and internal struggle. When a child moves into the next stage in mid-adolescence (ages 13 through 15) Pickhardt describes rebellion as a need for differentiation of identity from the parents. It’s how teens develop identities. In order to do it, they have to develop a resolve and determination to break off and differentiate themselves from the expectations. While the teen might seem oppositional, he still needs to know that he can depend on the parents and that they still love him. This is a good time to challenge a teen. Instead of confronting them which drives them to do the opposite, empower them with a creative challenge, one that teaches them lessons about personal responsibility and consequences. It also challenges the teen to explore some of his notions about the world and how he thinks it really works. This is a good time to address questions or objections your child. Perhaps take your child to a learning group, one where a moderator can address questions and objections with liturgy and its application to real life. Involve your child in a learning quest where he’s forced to learn more about his religion. Learning frequently brings about internal change and helps a child discover answers independently. Make yourself available during the learning process and show your teen that you respect his or her questions, objections, and decisions. In later stages of adolescent rebellion, your teen is demanding greater and greater degrees of freedom. It might mean pushing back on expectations you have of your child. Perhaps your child no longer wants to worship with you or no longer wants to join family holiday dinners. The key during the 15 to 18 year period is to set firm guidelines and expectations. You should make it clear what responsibilities are commensurate for privileges of independence. For example, you can make it clear that while you appreciate your child’s decisions and personal opinions, there are standards to adhere to in the family. As long as your teen lives under your roof, you expect him to attend a religious service. And then you give him a choice, two or three choices that are satisfactory to you. You can also solicit suggestions from your teen and include them in the options if they’re reasonable. Children who learn from their mistakes, who learn how to improve and understand that mistakes are part of the learning process become more adaptive, resilient learners. That’s a conclusion made by Dr. Carol Dweck, professor of Psychology at Stanford University. In one experiment, Dweck asked “400 5th graders of diverse backgrounds who were enrolled as students in New York City schools to take an easy short test.” Nearly all performed well. Students were then asked to take a second test and were given the option to choose between a simple test, one they could ace; or they could choose a more challenging test, one they might make mistakes on. Among students complimented for effort, more than 90 percent chose the harder test. Of those praised for being smart, the more than 60 percent chose the easy test. Based on this study, Dweck made two conclusions. When a child is complimented on talent such as intelligence, that child will do everything possible to maintain the believe that he or she is intelligent. Any failure or mistake in a child’s mindset could change that believe system. On the other hand, if a child is complimented on working hard, on the process, that child is more willing to sustain the effort of working in order to sustain the compliment. Dweck termed these two mindsets into “Fixed” and “Growth” mindsets. Children with fixed mindsets believe they’re either good at something or not. If they believe their not, they’re less willing to try after a failure. In contrast, children with growth mindsets are more adaptive. Because they believe they must work hard at the process, they learn to expect failures along the way as part of the learning process. These children also learn that intelligence is linked to process and their own efforts. In her book, Mindset: The New Psychology of Success, Dweck talks about ways schools, parents, and educators can foster a growth mindset and why a fixed mindset that fixates on testing and grades can predispose kids to self-limiting behaviors. She also talks about why so many kids don’t have growth mindset and why parents should work to change that trend. Her findings come on the heels of more than 30 years of research into over-indulgent, helicopter parenting styles. The findings are discouraging not just because of the fixed mindset, but because of the consequences of a fixed mindset on an entire generation of adults and subsequent children. Dr. Tim Elmore, an author, international speaker, and president of Growing Leaders, a nonprofit that helps develop emerging leaders under the philosophy that each child is born with leadership qualities, concurs and discusses the seven ways parents prevent their children from developing a growth mindset. 1. We protect our children from risk. It’s hard to see our children hurt. By not allowing our children to engage in some level of risk, we are preventing them from exploring, from figuring out their own mistakes. Some of the greatest comebacks are solutions our children discover themselves after potentially serious mistakes. Does that mean we let children walk on the roof? No. But as my grandmother used to say, “Sometimes you have to let your kids believe that you’re not watching even if you are.” Sometimes you have force your children to make the mistakes and deal with the repercussions themselves. 2. We rescue them too quickly. 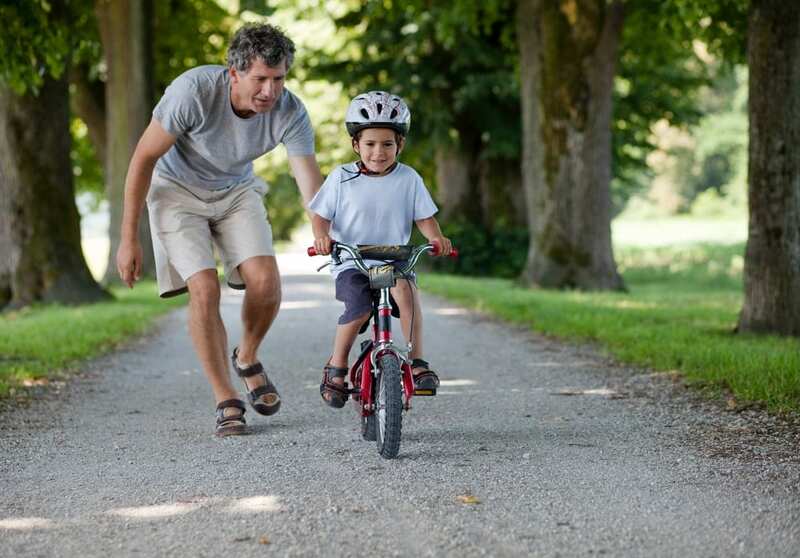 Scenario: Your child falls off a tricycle. Stunned, he looks around to see if he’s in one piece. Secondly, he looks to you for your reaction. Do you a) swoop him up and tell him, “oh poor thing. Mommy’s so sorry you got hurt,” or b) do you wait, hide behind your boring novel and pretend that you didn’t see it, or c) do you watch him fall, pause to react, and encourage him to get up, to get back on that bike? If you want to encourage growth mentality, the correct answer is “c” unless he’s legitimately injured..
3. We indulge them with praise. A little praise is fine. A lot loses its effectiveness. Working on a ten-page research paper and turning it in by the deadline is not the same as a four-year-old crayon and watercolor art project. As parents, we have to modulate the praise based on the process and act. A parent needs to modify praise based on the process. Consistent, over-indulgent praise loses its credibility and power. Saying that, too much criticism tells a child that no amount of effort on their part will win praise. 4. We feel guilty. Guilt is a useless emotion unless you’ve genuinely done harm. Then guilt is a powerful motivator for remorse and restitution. Parenting requires some emotional distance and effective parenting means you have to rein in the guilt, at least the guilty feelings your child sees. If you always feel guilty, your child will become an expert manipulator in getting what he or she wants. 5. We don’t share our own stories of failure and triumph with our kids. Yes, you should share age/developmentally appropriate stories with your children to show how you’re human, that you made your fair share of mistakes, and how those mistakes shaped you. For example, one of my children has ADHD. I told her about my struggles with attentional issues and how I learned how to adapt and overcome those hurdles. that I have struggled with attentional issues my entire life. But I also told her that I never quit and that she musn’t too. My children also know that I have a terrific fear of heights. I hate walking on bridges that span rivers and gorges. I don’t like chair lifts, no longer ski. I also have a phobia of driving across water-bound bridges such as the Cheasapeake Bay Bridge and Tunnel, a 10+ mile long span across the Cheasapeake Bay. However, on a bet, I jumped from an airplane. It was sheer terror being thrown backward out of a twin-engine at 13,500 feet. Yes, I was tethered to an experienced jumping instructor who had clocked more than 10,000 jumps as a KGB soldier. Yes, I did have a parachute. But I did it anyway and my children stood on the ground and applauded because I was afraid and did it anyway. Sometimes children need to see those vulnerabilities in parents. The author faced her fear of heights by jumping from a plane. 7. We don’t live up to our own standards. If you set a standard for your child, you better live up to that standard especially as a role model. The child hears the words, see the actions, and decides that the words have no value. But there’s more. 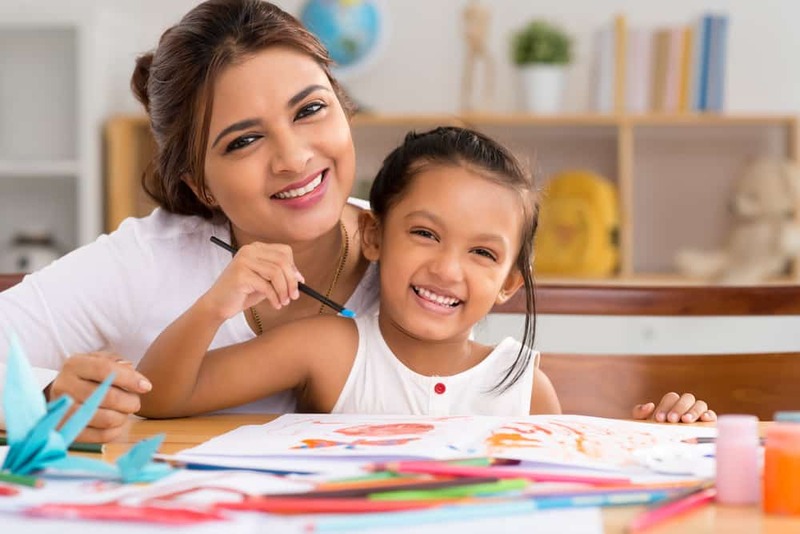 Raising healthy children with growth mindset happens when a parent recognizes boundaries, when a parent sets a standard, reinforces it, and understands that a child is a malleable being who must be trained, shaped, and prepared for the adult world. The child is not an extension of the parent’s successes or failures and not a contributing factor of a parent’s sense of wholeness. A child, to be emotionally healthy, independent, and willing to learn must be taught to experience risk, mistakes, and the ups and downs of the human experience. “Imitation is the highest form of flattery.” It’s a timeless saying. It’s reminiscent of a little kid tagging along with the “big kids” if only to be like them. It’s implied when a small child imitates a parent in play or mannerism. It’s also a saying that aptly describes a mentoring relationship. Anyone can be a mentor–a parent, a teacher, a coach, an older student, or even a perfect stranger. Mentoring is key in shaping behavior. 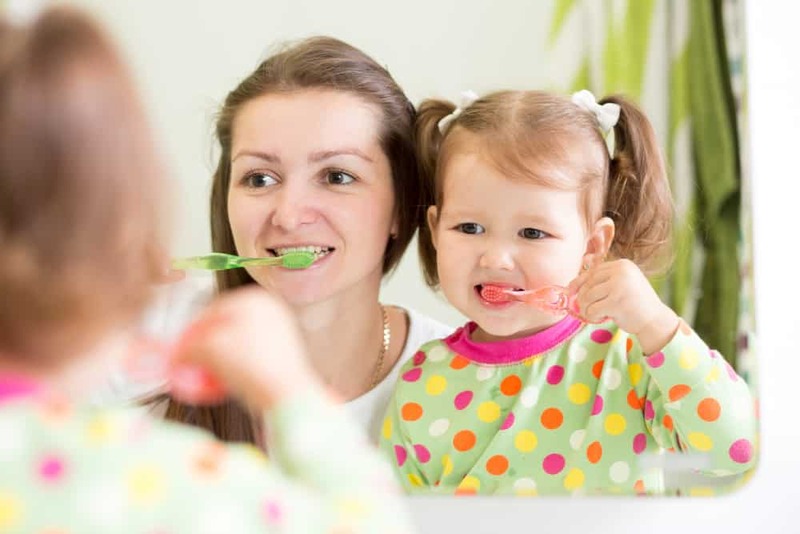 It’s how babies and young children learn survival and adaptive behaviors such as walking, eating different foods, hygiene, conversational skills, and academic skills. Parents who are doctors tend to have children who become doctors. Actors tend to give birth to future actors. As mentors, we pass on the knowledge and habits that we know best. Sometimes a mentor is a rock star. When my cousin Donna was ranked in 2009 as one of the top female executives in sports by Forbes Magazine, it came as no surprise to me. As kids, I remember how much Donna adored rock stars, entertainers, and emulated them. She had this floor-t0-ceiling poster of Donny Osmond on her wall. In fact, she had so many posters of stars, not a postage-stamp-sized space of wall remained uncovered. As part of her ritual, she used to say goodnight to Donny Osmond as part of her bedtime ritual. I used to giggle, but in hindsight, I’m convinced Donna took the path she did (she worked for the NBA and World Wrestling Entertainment) because of those mentors. Sometimes mentoring is unintentional. When a child adopts bad habits from an adult, a manner of speaking, a ritual, in many cases it can be traced back to a parent or mentor. If the behavior is maladaptive, it can become detrimental to the child. The following clip illustrates how we as parents serve as mentors to our kids. When our children pick up certain habits, we have to reflect on our own behavior and wonder how we contributed. Take this anti-smoking ad that ran from 1967. About 40% of a teenager’s waking hours are spent without companionship or supervision. Mentors provide teens with a valuable place to spend free time. confirms what we know anecdotally or intuitively — that mentoring works. And mentoring programs aren’t solely for kids at risk. Mentoring programs affective with kids with autism spectrum disorder, ADHD, and other developmental disabilities. It is widely used in corporate environments to help managers develop improved leadership skills. It’s also used in schools as “study buddy” programs that promote acceptance and improve academic outcomes. There are even mentoring programs for physicians in practice. So, in honor of National Mentoring Month, consider becoming a mentor. If not for your own child, consider volunteering an hour a week to someone in need. Author Merle HuertaPosted on 09/19/2014 11/01/2017 Categories Autism Spectrum Disorders, Health/Safety, Parenting, School Age, TeensTags autism, autism spectrum disorders, camp, child development, children, collaboration skills, education, interpersonal skills, learning, life skills, parenting, problem solving1 Comment on Autism Spectrum Disorders: Lights! Camera! Action! Yes. It’s true. My child does have a crush on an adult, his summer camp counselor. When he first confessed it, admittedly, I felt a little jealous. I mean, wasn’t I supposed to be his first and only crush, his first love until he grows up, falls in love and jilts me for another woman?Come on. Admit it. Wouldn’t you? Then I remembered my own crushes on adults: the diving coach who convinced me to do a back dive off the medium-level diving board; Miss Carol, my Bunk One counselor at sleep-away camp; and, Mr. Waronsky, a swarthy, Russian-immigrant, a teacher at my Sunday school who came to our house for coffee because he liked my mother but pretended he really liked to listen to me play the piano. This was different. This was MY little boy, the one who cried when he thought “what if you die?” The one who never ever wanted to leave home to marry and start his own family. The one who still begged me to cuddle with him at bedtime so he could fall asleep. He was now lying on the couch, moaning with heartache over this camp counselor with curly hair, brown flowing curly hair. Though I know that a camp crush or even a teacher crush, is perfectly normal, I still felt a little icky. I mean, how did he love her? And then I did a Face Palm. What was the matter with me? I was imposing a sordid picture on an eight year old’s crush. His love and adoration was pure, without malice or manipulation. Intuitively I knew that. But then I worried. What if other people didn’t know that? What if other adults thought that MY baby was inappropriately pursuing his camp counselor. See where I’m going? Society is like that. Remember that five-year-old kindergartener in a Waco, Texas school. He hugged his teacher assistant and she accused him of touching her inappropriately. A bigger concern, as a parent, was my child’s welfare. Would he move through this crush, through these intense feelings unscathed? How long would it take? What could I do to mitigate his pain? After too much obsessing and neurosis, I decided it was time to contact an expert. I went to one of the best–Carleton Kendrick, a licensed therapist and author of Take Your Nose Ring Out, Honey. We’re Going to Grandma’s. He’s also the expert who visits the homes of various families in a series called “Let’s Fix Dinner.” In the series, Carleton emphasizes the importance of the dinner table and the benefits to the family dynamics. Carleton Kendrick is a veritable source of sage wisdom, balanced approaches, and deep-seated compassion. To talk with him is liking eating a slice of warm homemade bread slathered with butter at grandma’s kitchen table. It’s comforting and so easy to swallow. And his advice, thoughtful and pragmatic, is easy to integrate in any parenting style. Secondly, a parent’s role is not to impose a sordid or adult view on a child’s expression of love. If a child says he loves a teacher or a counselor, he doesn’t mean in adult terms to include physical intimacy. Young children aren’t developmental programmed to think of love in those terms. While it’s easy to jump to that conclusion, especially in our explicit society, it would be an erroneous assumption. A parent’s role is to help a child understand and identify his feelings. A parent’s job is to help a child identify feelings associated with a crush, what labels he can use to identify those emotions, and socially healthy ways to express those feelings. I’m lucky. My son, child number thirteen in a blended family is fairly in touch with his feelings and quite expressive. He knows what he thinks, knows how he feels, doesn’t always understand those feelings, but he can express himself. The difficulty for me was helping him to understand the boundaries between his world as a camper and the adult world where his counselor resided. Over a family dinner, I applied Carleton’s advice. As if the therapist had a mike in my son’s ear, my son said on cue, “Yeahhhhhh.” And then I added, “You know, I bet she loved being your counselor at camp too.” He nodded, forked some food into his mouth, and talked to his father about something completely unrelated. Needless to say, I was stunned! Since that dinner, nearly a month ago, the subject of Kelly the camp counselor has come up only sporadically. My son’s requests for a play date or a video chat have also diminished. Occasionally, when talk of summer comes up, my son asks to return to the same summer camp. I get it. He hopes and prays to see her. And I hope and pray he doesn’t have another crush on an adult or fall in love until he’s a little bit older. I’d like to enjoy and protect his childhood just a little bit longer. Are You Sabotaging Your Child’s Summer Camp Experience? You throw your head back and laugh off the ridiculousness of that premise. You are, after all, a hip, more in-touch parent. You talk to your child about everything—drugs, peer pressure, STDs, and bullying. You’ve read the latest parenting books—Smart Parenting for Smart Kids: Nurturing Your Child’s True Potential and NurtureShock: New Thinking About Children. Your kids have sophisticated palates and eagerly sample a wide range of organic fruits and vegetables, kimchi, sushi, and veggie meat. They’re sensitive to animals and to the carbon footprint they leave on the planet. Your inner child could be interfering with your child’s summer camp experience. But are you in touch with yourself? Are you in touch with your “inner child?” According to pop psychology, the “inner child” is a subconscious collection of all childhood experiences from conception to puberty. If something traumatic happens in your childhood and you don’t feel at peace with it, the emotions of that event can play out into adulthood. For example, if your parents left home without you, you might have felt abandoned. If left unresolved, those feelings of abandonment can surface at any significant life event, like when you send your child away to summer camp. For example, you might feel a sense of abandonment when the camp rules say, “No cell phones, iPads, computers, or technology of any type…” To feel better, you covertly pack up two iPhones—one that’s a decoy to be taken away by camp officials and one that works so your child can secretly call you. If the camp rules explicitly say “Do not send candy or food care packages,” you might hide a stash of candy in a box of maxi pads and send it to your child to make your feel better. If your child complains about a counselor who reprimands her for leaving the bunk at midnight to raid the mess hall’s pantry, you might make irate phone calls to the camp director, the division head, and the camp social worker. Overnight camp is an ideal opportunity for your child to build life-long character traits. By conquering homesickness and other fears, your child develops self-confidence. By learning how to overcome failure without fear of disappointing you, your child can learn resiliency. And, by developing close attachments to other campers and adults, your child learns interpersonal and communication skills that can benefit them in the adult world. All these well-intentioned expressions of motherhood, could be sabotaging your child’s summer camp experience. Which is a shame because overnight summer camp is an ideal opportunity for personal growth for your child. So what can YOU do to ensure that you don’t stand in the way of that? According to Teresa Aubele, Ph.D. and coauthor of Train Your Brain to Get Happy, your brain is impressionable and can form new neuron pathways and you can train your brain to “bury the unproductive, depressing thoughts and habits that drag you (and your brain) down.” By reinforcing productive, cheerful thoughts and activities, you can become a happier and healthier parent. Aubele recommends tools such as journaling, meditation, visualization, and nurturance. Journaling: Keep a daily chronicle of your day-to-day activities. If you ate a pizza, write down how you felt. If you sent your child to camp, note specific feelings. By journaling, you can look for patterns in your moods. When are you happy? What makes you angry, stressed, or depressed? Meditation: If the Dalai Lama meditates daily, why don’t you. When you meditate, you tune out extraneous thoughts and focus on a single point. Sometimes a single word, phrase, or mantra can help you to focus. Combined with deep breathing, it can produce a state of deep relaxation. If the Dalai Lama meditates daily, why can’t you? Visualization: High-powered executives visualize themselves reaching goals. When you visualize, you focus on a mental image. Like meditation, it can help you to tune out negative thoughts. If the behaviors are increasingly hurtful, see a therapist. A therapist can help you deal with underlying emotions and can teach you constructive ways to deal with life events that dredge up old fears. You are the most important mentor for your child. If you demonstrate positive, productive ways to deal with fears, you will be raising a happier, more empowered child. Author Merle HuertaPosted on 07/22/2014 11/01/2017 Categories Moms, ParentingTags child development, inner child, summer campLeave a comment on Are You Sabotaging Your Child’s Summer Camp Experience?